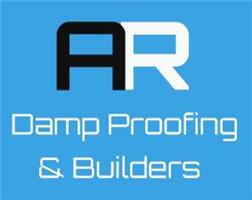 A R Damproofing & Building - Builder, Damp Proofer based in Timperley, Cheshire. A R Damproofing are experts at converting your basement or cellar from a cluttered storage space to a room. Whether you are looking to convert into a bedroom, a living room, shower or a workout room; A R Damproofing can provide you with a professional, affordable service. We also specialise in damp proof injection, rising damp control, Cellar/Basement Cavity Drain Systems with Sump Pumps, basement waterproofing and tanking, condensation, penetrating damp, Wood worm and Dry Rot treatments. We are based in the Altrincham area, although we also cover the surrounding areas within a 70-mile radius.